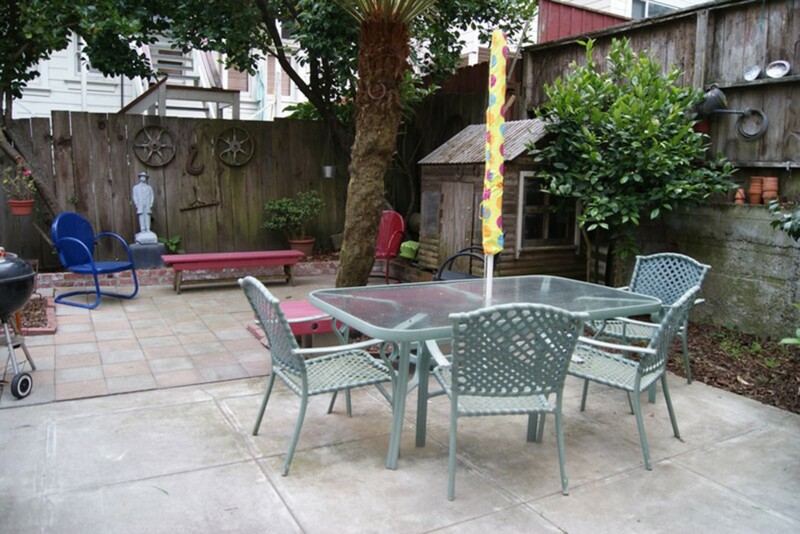 The Ashbury Garden Studio is an oasis of calm located in the middle of the very dynamic and exciting Haight Ashbury neighborhood. 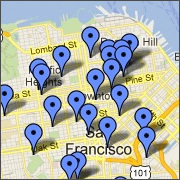 Located next to the famous Grateful Dead home, the studio is just a block and a half from the intersection of Haight and Ashbury Streets. This is a garden apartment beneath a historic Victorian home, built from a Sears and Roebuck kit in 1896. 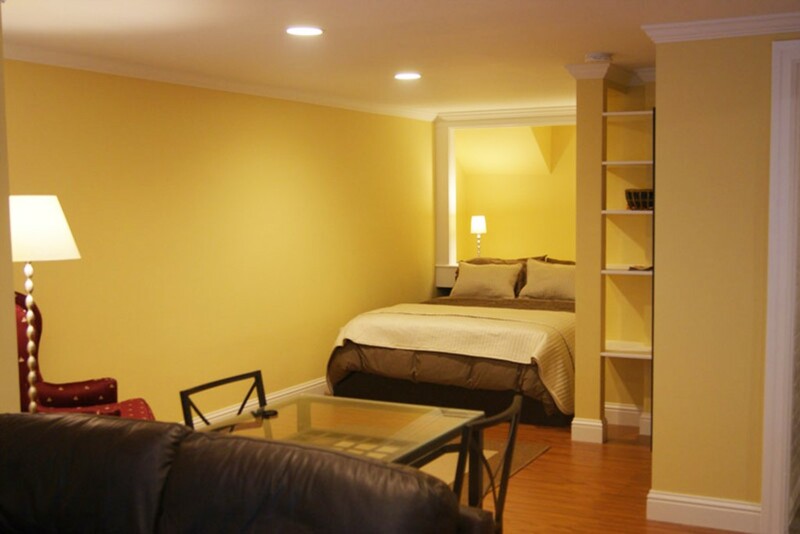 The apartment has been completely remodeled but still retains a great deal of charm. 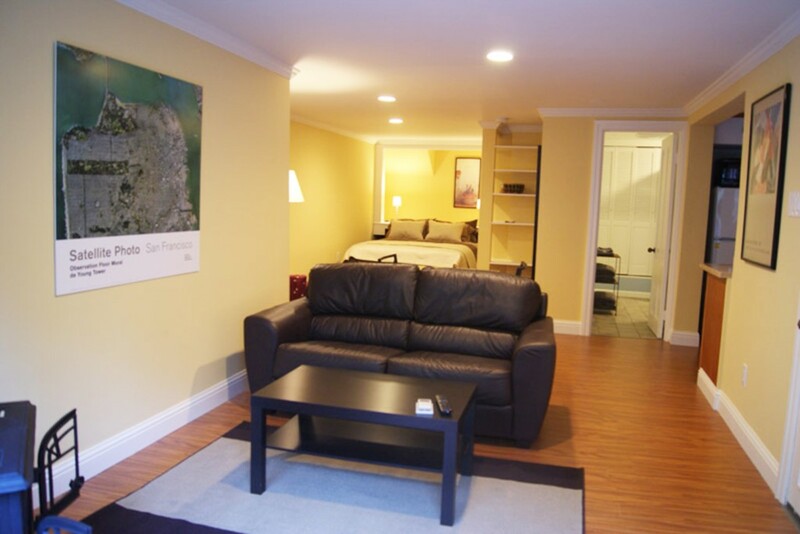 Ashbury Garden Studio has been thoughtfully renovated to provide maximum comfort in a small space. 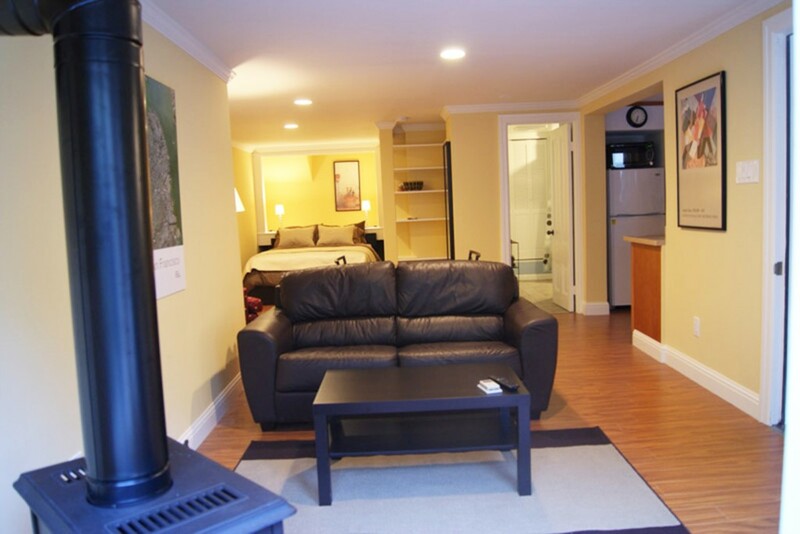 The studio has a spacious living space with a gas fireplace and a full kitchen. There is an eating area and small desk. 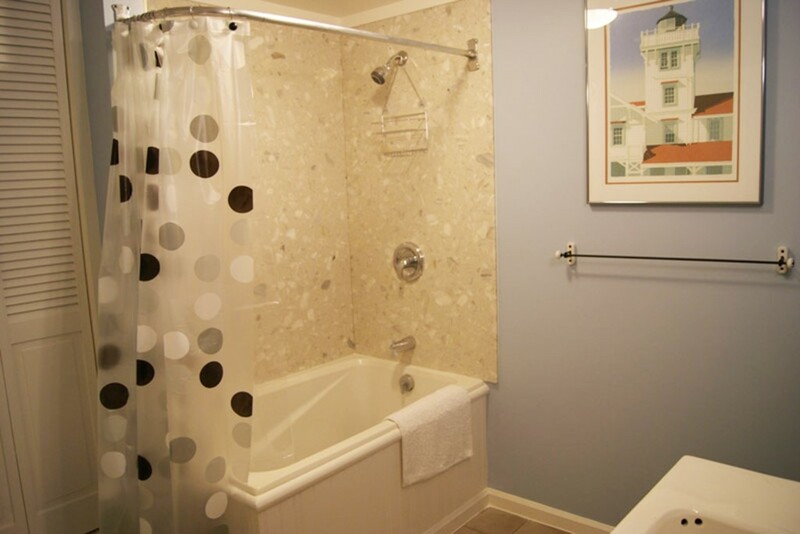 The bathroom is fairly large and has a bathtub. 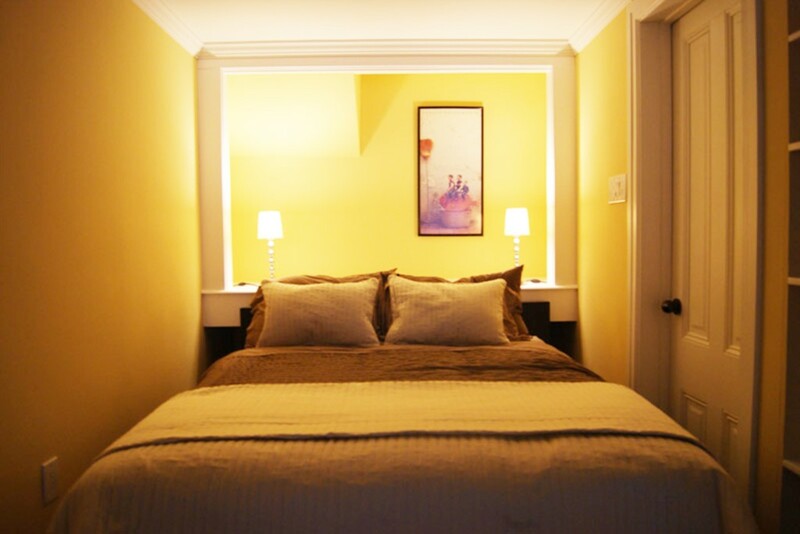 The bed lies in a sleeping alcove. 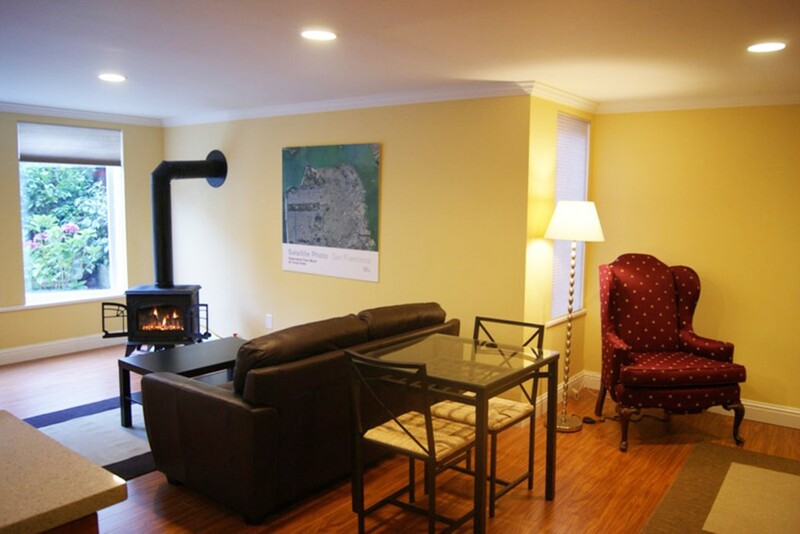 There is a full bank of windows in the living room, providing ample natural light. 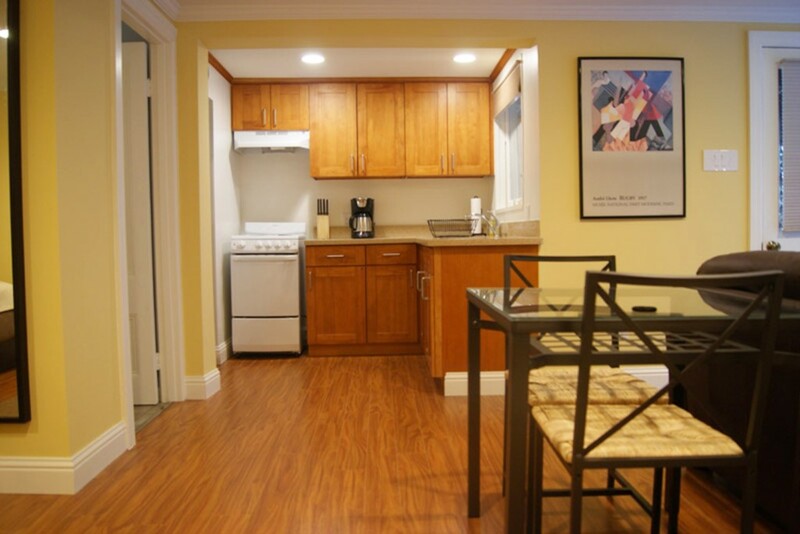 Just outside the unit there is a large patio and BBQ available. It’s an easy walk to charming Cole Valley or the eastern edge Golden Gate Park, and public transportation is just a block away. 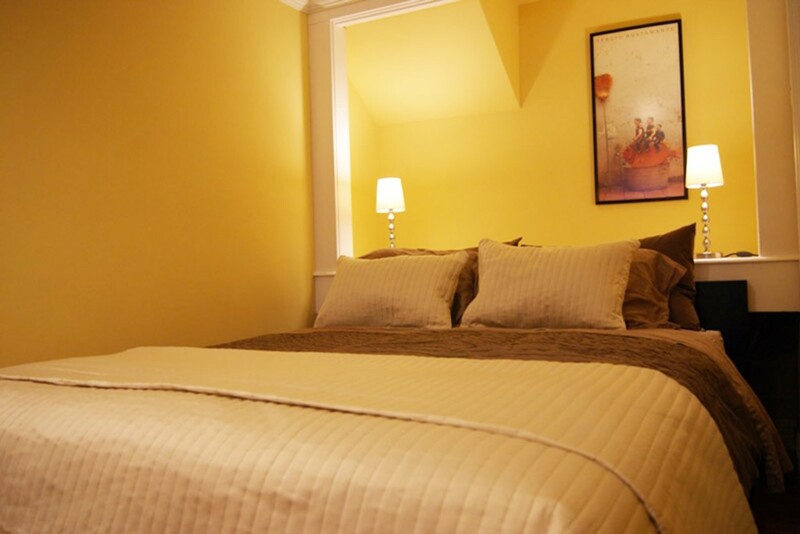 Enjoy your next visit in an exciting San Francisco neighborhood at our Ashbury Garden Studio.